Soprano Martha Guth brings consummate musicianship and a distinctive tonal palette to a wide range of musical periods and styles. A much-sought-after concert soloist, her repertoire includes soprano 1 in Mozart’s C Minor Mass (New York’s Sacred Music in a Sacred Space in St. Ignatius Loyola Cathedral and Columbus, Ohio’s ProMusic Chamber Orchestra), Orff’s Carmina Burana (West Michigan, Mobile, Lima Symphonies, Florida Orchestra), the Brahms Requiem (Washington, D.C.’s Cathedral Choral Society, New York’s Voices of Ascension, Grand Rapids’ Calvin College), Britten’s Spring Symphony (Choral Society of Durham), Händel’s Messiah (Santa Fe Symphony, Rhode Island Philharmonic, Christ Church Cathedral in Lexington, Kentucky), Mendelssohn’s Elijah (Columbia Pro Cantare and Gloriae Dei Cantores), Mahler’s Second Symphony (Evansville Philharmonic) and Fourth Symphony (Flagstaff Symphony) , Beethoven’s Ninth Symphony (Fort Wayne Philharmonic) and Missa solemnis (Bachakademie Stuttgart), Mozart’s Exsultate, jubilate (Hamilton Philharmonic) and Concert Arias (Germany’s Bad Reichenhaller Philharmonie), Berlioz’s Les nuits d’été (Canadian Opera Company orchestra), Haydn’s Die Schöpfung (New Mexico Symphony) and Poulenc’s Stabat Mater (Spokane Symphony). Just issued on the Naxos label is her recording of Roberto Sierra’s Beyond the Silence of Sorrow with Maximiano Valdés conducting the Puerto Rico Symphony, nominated for 2016 Latin Grammy Award. In addition, she has collaborated with John Nelson, Helmuth Rilling, Richard Bradshaw, both Seiji Ozwa and Robert Spano at Tanglewood and been guest soloist with the National Arts Centre Orchestra, Calgary Philharmonic and Toronto Symphony, among many other orchestras. 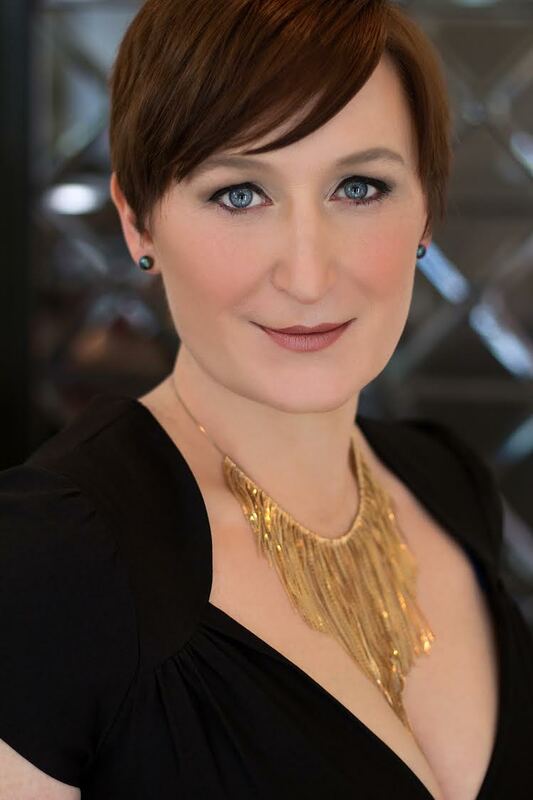 A model collaborator, Ms. Guth has earned special distinction for her passionate devotion to recital and chamber repertoire, earning First Prize at the 2007 Wigmore Hall International Song Competition in London. She has given recitals at London’s Wigmore Hall and Leeds Lieder Festival with pianist Graham Johnson; in New York with Dalton Baldwin and Malcolm Martineau, and at both the Vancouver International Song Institute and Ottawa International Chamber Music Festival with Erika Switzer (with whom she co-hosts an online magazine Sparks and Wiry Cries [http://www.sparksandwirycries.com], featuring live and recorded performances and discussions with singers, pianists and composers.) She also curates the Casement Fund Song Series in New York City. Her recitals have been broadcast on the CBC Radio/Radio Canada, BBC Radio (U.K.) and WDR (Germany). Recordings include a solo disc of Schubert songs with fortepianist Penelope Crawford, John Fritz-Roger’s Magna Mysteria on the Innova label, Brahms’ Liebeslieder Waltzes and The Five Borough Song Book.